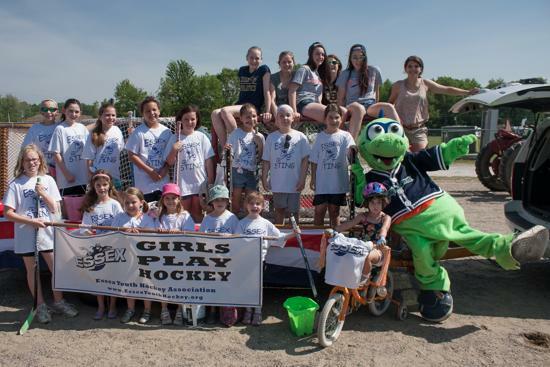 Welcome to Essex Sting Girls Hockey! 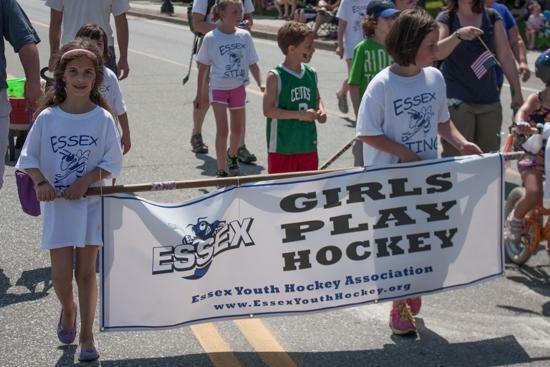 Essex Youth Hockey is open to youth from the "Chittenden Central" school district communities of Essex, Essex Junction and Westford as well as the "Chittenden East" communities of Richmond, Huntington, Jericho, Underhill and Bolton. 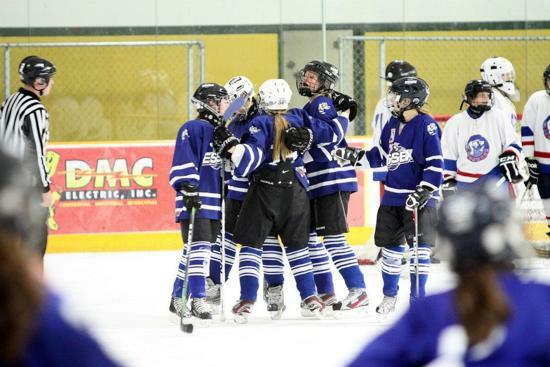 Girls hockey programs includes teams at the 10U, 12U and 14U age levels. 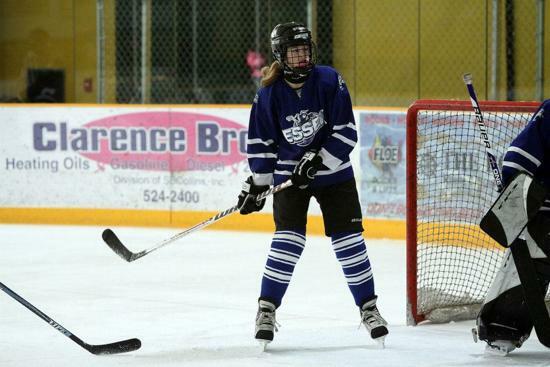 Hockey includes two on-ice practices during weekday evenings and usually two games each weekend. Travel is predominantly within the state of Vermont. 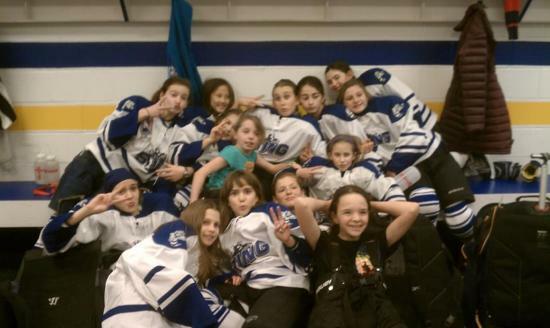 If enough girls and their families are interested, we will create a girls-only (U8) x-ice team for this season. 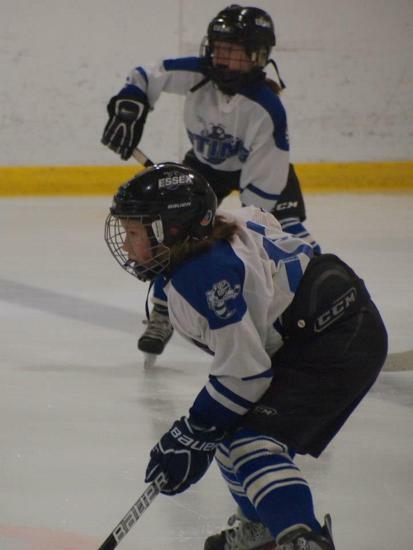 Girls can also join our "house" recreational hockey programs which are for younger new-to-hockey players or players whose time commitments prohibit the full travel experience. 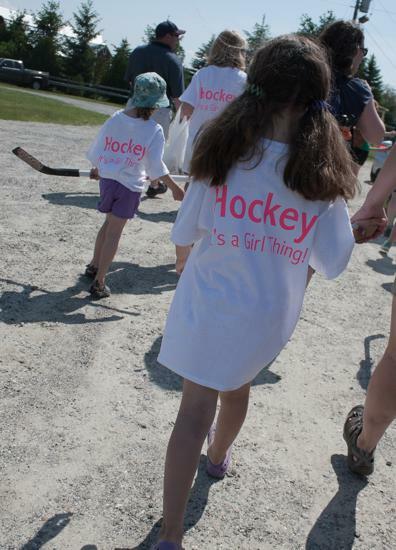 Any girl can try hockey at any time. It is not a sport you must start at a young age to enjoy success. In fact, many girls start as late as middle school. 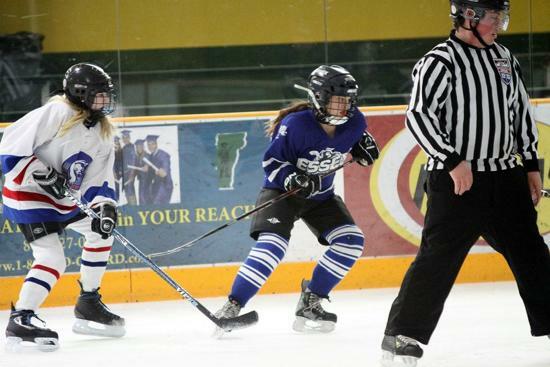 If you are thinking of trying out hockey as your next new winter sport, this video link has EYHA girls talking about what it's like to try hockey for the first time! "I like the competitiveness, the drive and the entire team being like a family together"
"I like Girls Hockey because it is really fun"
"I like it because my teammates are nice"
"I like that I can mess up and know my teammates won't yell and get mad"
"I like Girls Hockey because it is really fun and it's a great way to meey new people. Everyone is really nice and fun to be around"
"I like Girls Hockey because there are no boys"
"I love that in Girls Hockey I have a team that will help and encourage me"
"I love the spirit and the friendship"
If you don't know Girls Hockey, you don't know what you are missing! 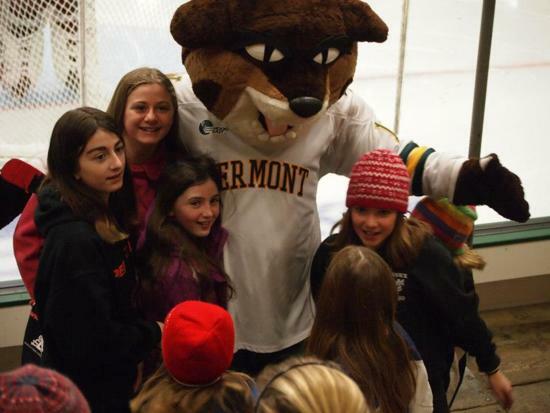 Participating in Girls Hockey may result in serious fun! Lets face it, boys invented it... and girls have perfected it. ©2019 Essex Youth Hockey Association / SportsEngine. All Rights Reserved.